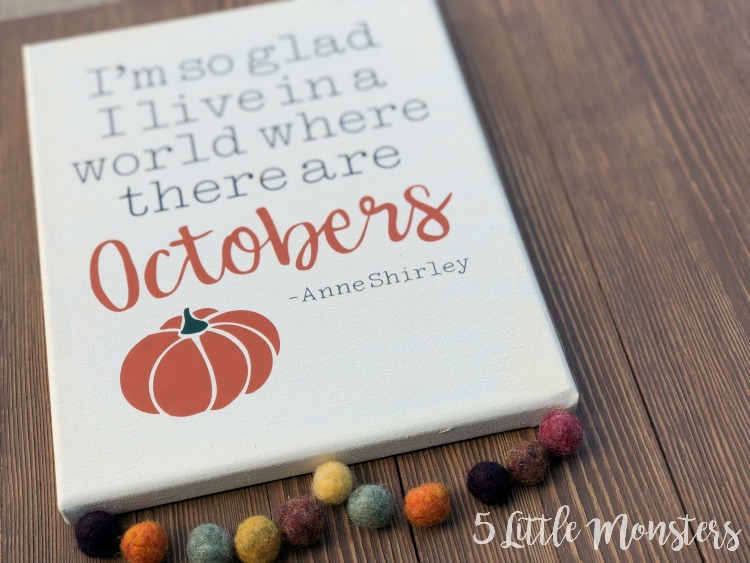 October is probably my favorite month of the year. It happens to be my birthday month but that isn't the only reason I love it. First of all, I love the fall. It is my favorite season. I love the cooler weather, the changing colors of the leaves, and I love the fact that it is the beginning of the holiday season. 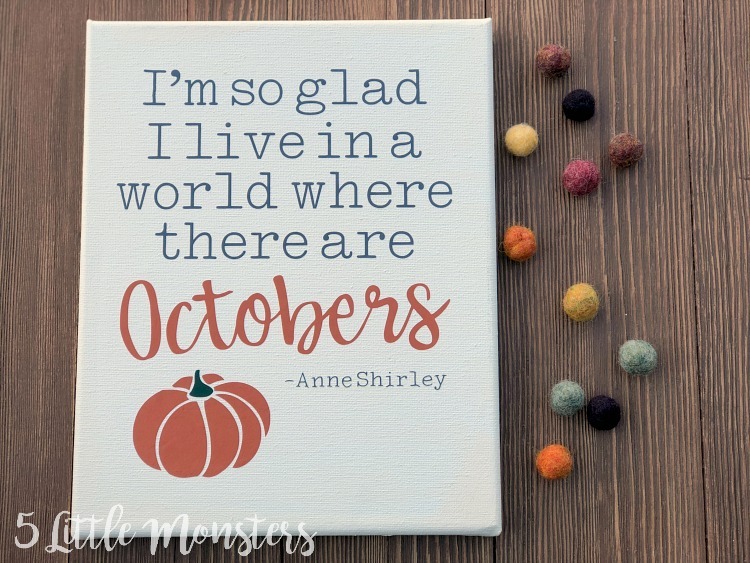 I love the excitement of Halloween, followed by Thanksgiving and Christmas. 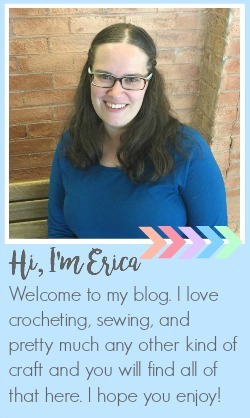 Plus it is crochet season, time to make warm, cozy hats and scarves for everyone. Also, when I was a teenager I love the Anne of Green Gables books. I read all 8 of them several times. 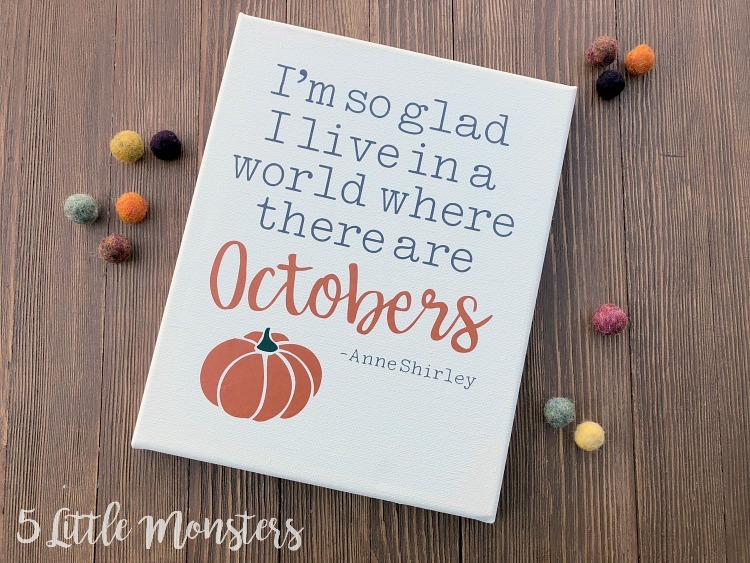 So, when there was an opportunity to make something that includes a quote from Anne and happens to be about my favorite month of the year I had to take advantage of it. 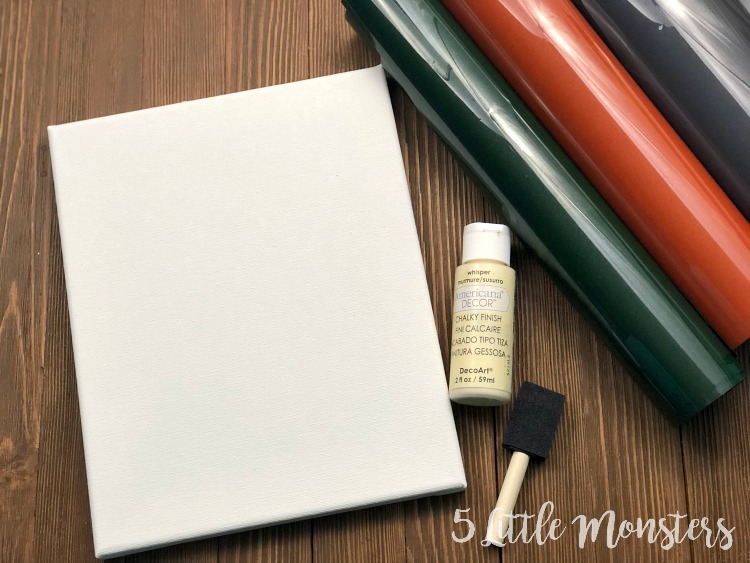 Paint the entire canvas with cream paint, including sides. Set aside to dry. Open the October Design Space File. Cut the design from iron on, making sure to mirror your design before cutting. Fold the towel to fit underneath and inside of the canvas so that you have a solid surface to press on. 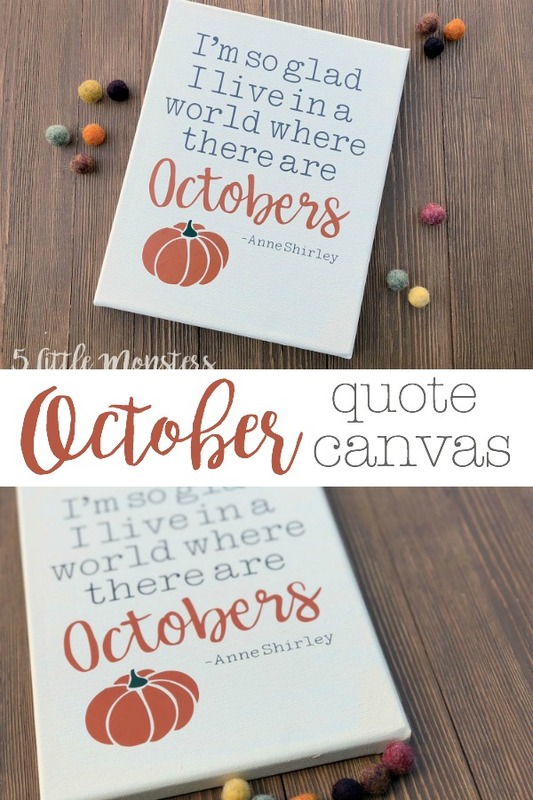 Place the words on the canvas and press. Peel off plastic and repeat with the pumpkin piece and then the stem.